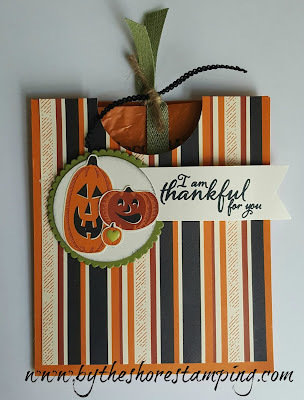 Welcome back for day #5 of my Fall for Holiday Countdown - where I'm counting down some fun, fall projects featuring new product from the Stampin' Up holiday catalog that was released on September 1. You can view the products online HERE or download a PDF copy of the catalog to look at HERE. Are you ready for the fifth project? I had a very specific mission in mind with this one. I've been hunting around for a fall-themed cocoa flavor and finally found a Pumpkin Spice flavored hot cocoa at Target yesterday. I wanted something that wasn't too big and bulky to mail, but that would make a fun little treat for my Paper Pumpkin subscribers. Don't know what Paper Pumpkin is? It's a fun monthly crafting subscription that includes all the supplies you need to make 6 to 10 adorable projects - cut, prepped and ready for you to stamp and assemble. Best part is you get mini ink pads and an exclusive stamp set with each new kit! It's a great way to either start crafting or to build your stash in an inexpensive way. As a bonus, if you join by September 10, you can save HALF OFF your first kit (so it will be just $10!). This is such a bargain. Plus, if you sign up with me by September 10th, you'll be just in time to receive one of the cute little hot cocoa pouches I demo in today's video as a special thank you just from me (and if you're already a subscriber with me, you'll be getting one, too!). 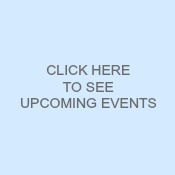 You can view more details and sign up HERE. But hurry, because there's only a few more days left of this promotion! Don't forget to use the code HALFOFF0917 in the promo box when you sign up. Okay, on to today's project (and a sneak peek of your thank you gift if you're a Paper Pumpkin subscriber!). And here's what it looks like when it's all "assembled"
Then, you can just pull on the little ribbon pull at the top to get to your cocoa. I can't wait to try this... I'm not usually a big fan of pumpkin stuff, but it's been growing on me the last few years. And I love cocoa -- so we shall see! Hope you enjoyed today's project. Don't forget to subscribe to Paper Pumpkin. And if you're a NEW subscriber don't forget to use the code HALFOFF0917 at checkout so you can get your very first kit for just $10! Here's the LINK again to sign up. Thanks so much for stopping by and I'll "see" you again tomorrow for day #6 of our Countdown! Yay! 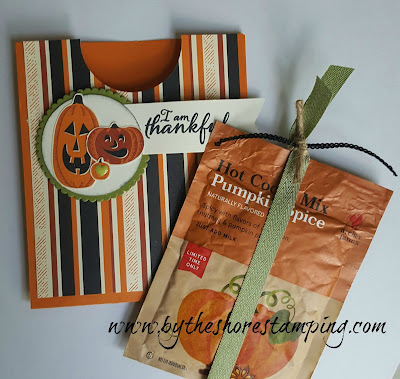 another cute gift idea... and pumpkin cocoa sounds delish! I'm just catching up on your posts. I LOVE this idea! What a cute idea and such a lovely theme... I love the Fall months and all things pumpkin spice! :) Thanks for the fun project idea! These would be perfect for the teachers lounge. I'm heading to Target in the morning! Thanks for sharing your fab ideas! LOVE this paper! And now we know how versatile it is! 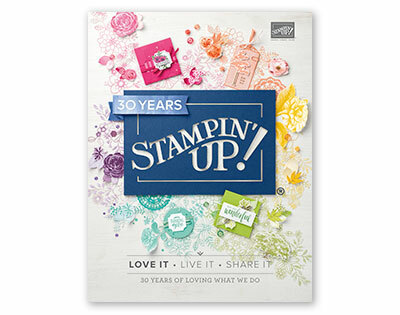 Ordered the stamp set Sunday! The fall DSP is so cute and I love seeing all the ways we can use it. That mini sequin trim adds just the right amount of bling! Just had to add, for all the scrapbookers out there, these pockets are great for holding memorabilia or journaling on your page! Adorable! Great to send to family I normally send a card to. It's so cool that you found those pumpkin hot chocolate packets and I love the ribbon pull string!!! Perfect for trick or treaters or Halloween party favors!! !